Here's the truest analogy. Frank Colver, Tom "Red" Howard, and Mike Grisham were all aware that Joe Faust was being unjustly treated by Jack Axaopoulos ("sg"). They were all aware that Joe's voice was being silenced. And yet they all chose to protect their own ability to "hang out in Jack's living room" rather than stand in solidarity with Joe. I move that the Board examine the statements in that quote to determine whether further action is needed. It has been brought to my attention that Bob Kuczewski has and continues to make false and defamatory statements about me, Michael Grisham, on the US Hawks forum in violation of the US Hawks terms of agreement upon registration, agreeing not to post any slanderous material. Bob Kuczewski is entitled to his opinion, but his opinion becomes a problem when Bob represents his opinion as fact, “The Truth”, when he knows or any reasonable man would know that he is promoting pure fiction, a lie. Bob Kuczewski is knowingly pushing the idea that I am not speaking up against Jack on Joe’s behalf because I am afraid I would be banned from hanggliding.org. Bob knows that is a lie or should know that is a lie based on the facts having been presented to him. The following post by Bob Kuczewski is a slanderous lie injuring my reputation in the Hang Gliding Community and is a violation of the US Hawks policy. The second post on December 11, 2018 clearly stated my support of Joe Faust and should have dispelled any notion of me even considering being banned by Jack as numerous times I have mentioned BobK and defended BobK in direct violation of Jack’s rule banning any mention of BobK on hanggliding.org. Link I have to humbly admit at this time defending BobK on hanggliding.org was a mistake on my part as I am in full agreement with Jack that BobK is toxic. I owe Jack an apology. On December 23, 2018 Bob Kuczewski called me on the phone. The phone conversation was 3 hours 9 minutes and 41 seconds. Specifically, in that phone conversation with Bob Kuczewski, when he brought up the subject of me being afraid to speak up out of fear from being banned from hanggliding.org., I stated, “There was not a neuron or synaptic firing in my brain that even considered Jack banning me from hanggliding.org if I spoke up for Joe Faust.” I continued and stated “if I was concerned with being banned, I certainly would not have been mentioning you or defending you in direct defiance to Jack’s ban on posts referencing BobK.” There was complete silence on phone. Bob had no reply. That is the Absolute Truth. In that phone conversation I made it clear, that I supported Joe and Joe’s USHGRS, but I believed Jack has property rights in his ownership of his website and he was not obligated to provide web space or bandwidth for ideas or beliefs he did not support. So let me restate the problem specifically, Bob Kuczewski is representing and promoting a lie as the truth about me and my position when he states I am not speaking out against Jack because I am afraid I will be banned from hanggliding.org. I fully support Joe, but also respect Jack’s property rights. Bullsh-t Bob needs to stop promoting his lying fraud about Michael Grisham. 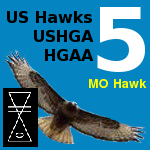 I expect a retraction and an apology from Bob Kuczewski and the US Hawks Board. As a matter of fact, Bob Kuczewski and the US Hawks Board should also publicly apologize to Frank Colver and Tom ‘Red” Howard and the Hang Gliding Community for Bob Kuczewski’ behavior in this matter. If you actually believe the terms of your registration agreement, Bob Kuczewski should resign from the US Hawks Board and be banned from the US Hawks forum for violation of the registration agreement as he has slandered my name and reputation. I second the motion that the Board examine the statements in that quote to determine whether further action is needed.. Thanks for the Second Joe. I vote yes on the motion. Thanks Bill. That makes it 2 out of 3 (so far), so we might as well get started. Bob Kuczewski wrote: Here's the truest analogy. Frank Colver, Tom "Red" Howard, and Mike Grisham were all aware that Joe Faust was being unjustly treated by Jack Axaopoulos ("sg"). They were all aware that Joe's voice was being silenced. And yet they all chose to protect their own ability to "hang out in Jack's living room" rather than stand in solidarity with Joe. There's no truer analogy ... than the truth. We're tasked with deciding whether that is the kind of statement that people are allowed to make - or not - on the U.S. Hawks forum. There are certainly legal aspects to this, and I think they're worth considering as guidelines. But we are not lawyers and I think we're not equipped to answer it as a legal matter (that would need to be resolved in court). So I think we should approach it from the perspective of what we feel is fair speech. We also want to consider the role of the U.S. Hawks in being one of the least censored hang gliding forums in the U.S.
With those thoughts in mind, I think one of the central elements is the truth of the statements in the post. More specifically, can we generally agree that Joe Faust was being unjustly treated by Jack Axaopoulos when Jack banned Joe? I suggest that we start with a consensus on that narrow topic first. I've asked Michael's position on that (in another topic), and he hasn't replied yet. He's welcome to reply here as well. And that brings up one more point: evidence. The core evidence in this matter is the "USHGRS" topic thread on hanggliding.org where Joe was banned. Unfortunately, Jack has already tampered with (and buried) that evidence, so I'd like to know if anyone has good copies of what actually happened. I do have some of that data, but it was captured after some of the tampering. It would be good to have an inventory of the actual evidence that we have available. Thanks. Bob wrote: That will naturally involve determining whether the Board feels that Joe Faust was treated unjustly by Jack Axaopoulos since that's a key part of the quoted text. This has absolutely nothing to do with the above quote. This has to do with Bob misrepresenting my beliefs on the subject. This has to do with Bob misrepresenting my motivations. This has to do with Bob making a claim of what my beliefs and motivations were as the truth after I have clearly stated what my beliefs and motives were, contrary to Bob’s declaration. This has to do with Bob’s continuing promotion of this propaganda about my beliefs and motivations. This is about Bob defaming me with lies slandering my name and reputation. Thanks for what I believe is a good faith effort to resolve the matter. I think I am beginning to see your objection. From your comments here and in other topics, you appear to be saying that you believe Joe Faust was "justly" treated by Jack. Is that correct? Let me add that this is a key point. I had believed that you felt Joe's banning was unjust but not illegal. If you are asserting that his banning was also just (as in "justified", "fair", "deserved"), then I will amend my statement to reflect that. Please let me know because I would not be comfortable stating that you felt Joe's banning was justified without you stating so explicitly. Please understand that my purpose is to publish the truth about what happened in Joe's case as accurately as possible. Thanks. Bob, ask Joe if he wants to carve out rebuttal web space and provide band width in the domains he “owns” to promote paragliding and mini wings.